Larimar is a superb stone for Earth Healing. 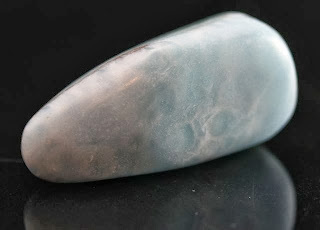 Larimar can also help us to "take control" of our own lives. Larimar shows us that suffering need not be present in our spiritual lives and that also our own spirit can be without bounds or limitations.